Climate change affects the seasons and the severity of the influenza epidemics, as proved by researchers from the University of Arizona. If the climate situation will evolve in the same direction, risks to human health will become stronger: epidemics will become more long-lasting, intense and will start earlier than usual. The relationship of health to climate change has been of no doubt for international experts for a long time. According to the UN, climate change has already caused around 150,000 deaths in the world and the loss of about 5.5 million years of life. The researchers obtained these data by calculating mortality, morbidity and disability. U.S. researchers monitored the dynamics of influenza sickness rate in the United States over the past 16 years. The experts developed climatic parameters of activity of acute respiratory viral infections. Data on influenza were imposed on the data on climate patterns recorded in certain parts of the planet in the same time period. They found that there is a trend to earlier and more severe epidemics of influenza, and this phenomenon is linked to climate change. The results of studies of influenza strains A and B epidemics suggest that warmer winters are often accompanied by severe cyclical epidemics. "It seems that in mild winters less people get flu. And we see for several years that every year the winters become warmer. Most likely, the influenza virus has adapted to weather changes due to global warming on the planet, so the viral season "moved" to earlier time. This fact is alarming, since a large part of the population is unable to get the anti-flu vaccine in time, which creates potential risks of infection of many more people than expected during the viral season," says Professor of Mathematical and Computational Sciences Sherry Towers, the study's author. This results in cycles, when the lighter epidemics alternate with severe ones. University of Arizona scientists cite the example of the current severe flu season in the U.S., which began very early and is still in full swing. Meanwhile, the relatively easy season in 2011, when the lowest sickness rate peak was recorded, was characterized by exceptionally warm winter. According to the forecasts of the U. S. researchers, further climate change will have major impacts on the prevalence and duration of influenza illness in humans. If warmer winters become more frequent and widespread, it will immediately be reflected in the severity of the flu epidemic. However, timely selection of adaptation to the new situation can reduce the risks. According to a leading expert of the School of human evolution and social change in the United States, an epidemiologist Gerardo Puente, "the results of the research and their comparison with the model of influenza will help accelerate the production and distribution of the vaccine, which can significantly reduce the severity of future influenza epidemics, improve the preparedness to the infection and increase awareness among physicians and patients." Russia is a northern country, highly vulnerable to the risk factors mentioned by the U.S. researchers. 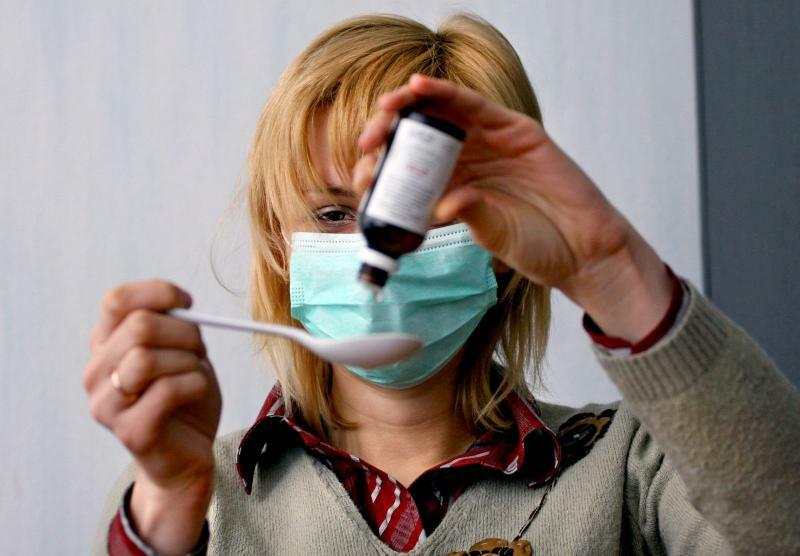 Flu and respiratory infections in recent years became a real scourge of Russian regions. Year after year, their influence becomes more sophisticated. According to sanitary inspectors, four types of flu coexist simultaneously this winter, as if they agreed with each other. Russian scientists have already started to study the impact of climate change. Recently, the book "Climate change and health in Russia: situation analysis and projections" has been published. Its authors are scientists at the Institute of Economic Forecasting of the Russian Academy of Sciences: Boris Revich, professor, co-author of the 4th Assessment Report of the Intergovernmental Panel on Climate Change, and Viktor Maleev, the chief expert on infectious diseases of the Health Ministry, academician of the Russian Academy of Sciences. For the first time in Russia, the values of threshold temperatures and quantitative population losses from exposure to extreme heat have been determined on the basis of research of relationships between meteorological factors and mortality of the population of some cities (Moscow, Tver, and Yakutsk). Separate sections are devoted to the mechanisms of the influence of increased temperatures and preventive measures, action plans to be implemented in different countries to protect health from climate change. However, Russia has no unified national strategy on climate change and adaptation, equally as no coordinated climate policy. Meanwhile, flu adapts to climate change much faster than humans.